Another edition of “The Opal Coast Celebrates the Sea” will take the place, from Thursday 11th to Sunday 14th July 2019. 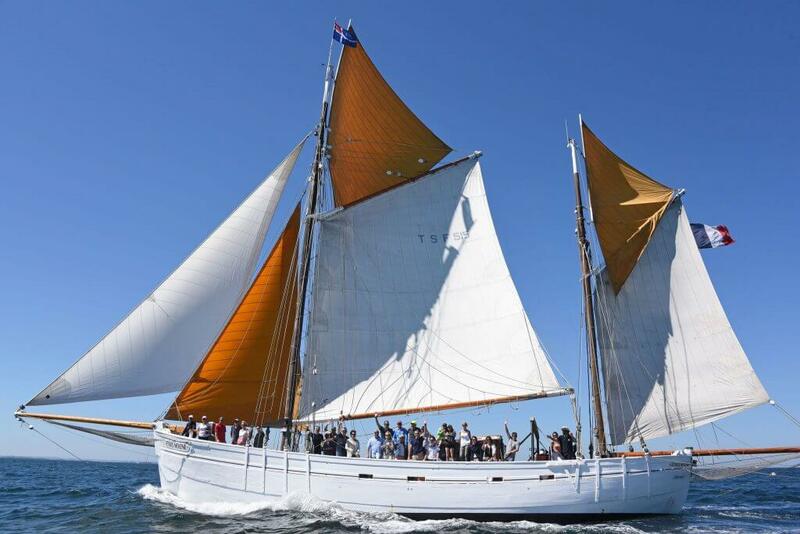 This great maritime festival showcases all the know-how of the Opal Coast. It is a landmark event that confirms Boulogne as the leading fishing port in France and Europe’s leading centre for sea food processing. Held every 2 years in mid-July and during which the Opal Coast celebrates the sea in Boulogne-sur-Mer, this has become an unmissable event. For 4 days, the sea and the maritime world take centre stage. On the programme: a flotilla of large sailing shops and traditional boats, trips out to sea on heritage sailing boats, ships open to visitors, nautical parades, a maritime skills and traditions village, a sea market, singing and dancing, tastings of sea food products, exhibitions and plenty of activities for the young and old. Tens of thousands of people, amateurs, enthusiasts and professionals come together to discover or rediscover the sea in all its aspects. The Étoile de Molène (length 35m). Built in 1954, this former Dundee tunnyboat took part in the festival for the first time in 2017. 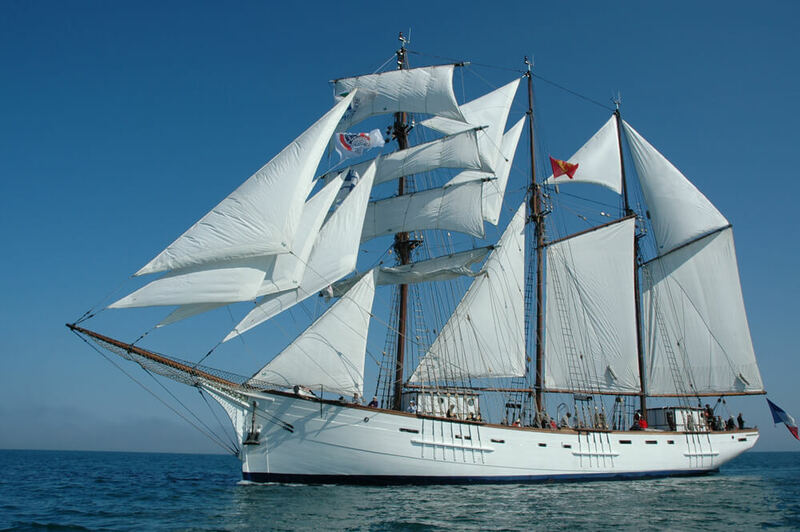 This famous traditional French sailboat will offer sea trips throughout the festival period (28 passengers). 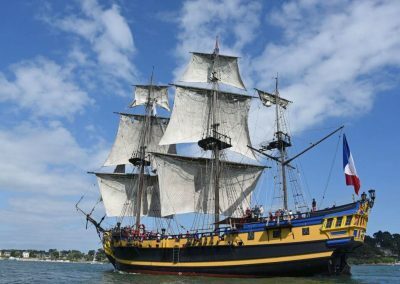 The Étoile du Roy (length 46m) is a wooden replica of a 1745 Saint-Malo corsair frigate. This 310-ton three-masted vessel with a crew of 240 men was armed with 20 cannons. Built in Turkey in 1996 under the name Grand Turk, since 2010 it has been the flagship of the Etoile Marine Cruises fleet. It is frequently used in big-screen movies and in television series. Based in Saint-Malo, today the Étoile du Roy is an extraordinary vessel capable of carrying 120 people at sea. It is also a unique reception venue. 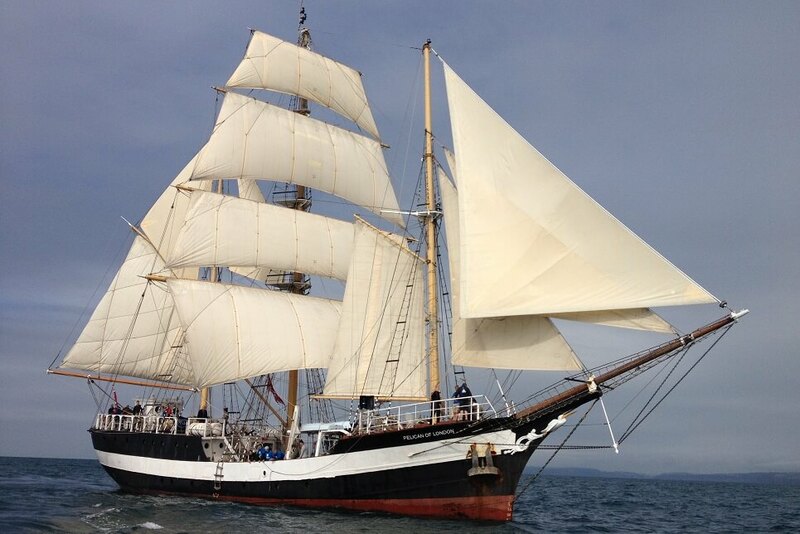 The Tenacious (length 65m). Built at Merlin Quay, Southampton in England and launched in 2000, this is one of the biggest seagoing wooden sailing ships in the world. It was specifically designed to accommodate disabled, blind or visually impaired passengers and wheelchair-users. The doorplates are written in Braille, the cabins have been specially fitted out, and the deck is equipped with wheelchair securing arrangements allowing their users to take part in manœuvres. Together with the Lord Nelson, it is one of the only ships in the world designed to enable disabled persons to crew alongside the able-bodied. The TS (training ship) Pelican of London (length 45m) is a three-masted British sail training ship based in the Port of Weymouth. 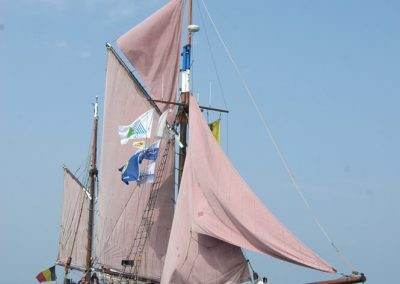 The special rigging, called “polacre Xebec rigging”, is constituted by a foremast with a square topped sail and mast with a large square sail. It has boarding capacity for 28 trainees. 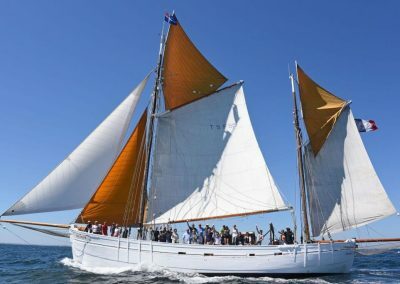 Before taking part in maritime festivals, this vessel was chosen to operate as a sail-training ship for young people taking part in sailing voyages. The Marité (44.90m) is a three-masted schooner. It was built in 1921 in Fécamp, it is today the last French Newfoundland in navigation state. It has thirteen sails and three masts weighing one ton, surmounted by an eleven-meter boom. He practiced cod fishing on the Newfoundland Banks from 1924 to 1929. There are 74 people on board for sea trips. The Nele (28 m long), a replica of a fishing dundee from the end of the 19th century, is the boat emblem of the city of Ostend and its annual maritime festival Oostende voor Anker. Perfectly equipped to welcome passengers, Nele has been participating in the party since 2007. The ship offers sea excursions (25 passengers). 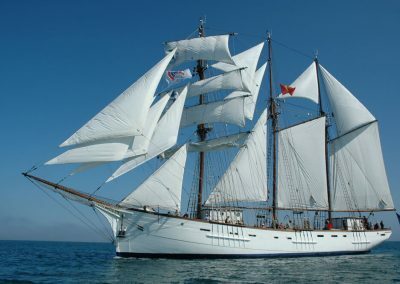 The Tara (length 36 m), originally named Antarctica then Seamaster, is a French schooner for both scientific research and environmental protection. 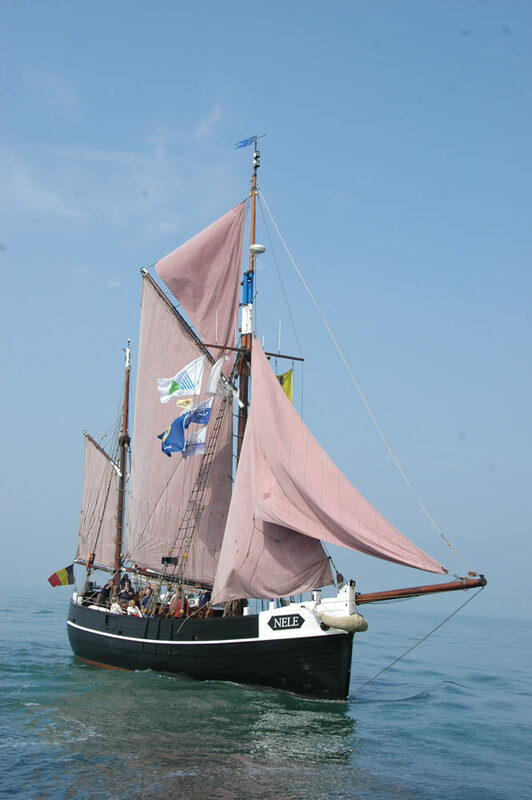 The Sailing Voyage project is being organised for the 4th time by Boulogne Town Hall and Folkestone & Hythe District Council (England), supported by the Boulonnais Local Authority. 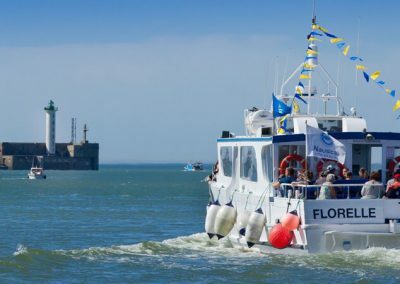 This maritime adventure brings young people from Kent and Boulogne together for several exchanges, culminating in a 5 day voyage from Folkestone to Boulogne. Our plans are not yet finalised, and other vessels will be added to this fleet between now and July 2019. Most of the chartered vessels will offer three-hour sea trips for the full four days of the festival. These vessels will also take part in nautical parades and some will be open to visitors. One or more of french Navy will also be participating in the event. During the festival period, several small craft (skiffs, flobart fishing boats) will be offering taster sessions in rowing and sailing. Professionals in fishing and fish processing, restaurateurs and a variety of other trades will all be enlisted and invited to introduce and demonstrate their fields of activity to the public. These professionals will introduce the fishing trades by opening up their vessels to the public and exhibiting their fishing gear, models and photographs. The fish processing sector will also be there, including a filleting demonstration and the reconstruction of a smoking-salting house. Packing, freezing and conserving will all be explained to visitors. The “Village of know-how in Boulogne” will once again take centre-stage: we wish to showcase not only our sea food processing companies (since Boulogne is the number one in Europe for this activity) but also our teaching, training and research centres. Cookery workshops will also be on offer to festival-goers. These will involve inviting participants to prepare recipes hands-on and to work with local products before sampling them. The Campus de la Mer (campus of the sea) will present the world of research and trials and will answer the public’s questions. Mister Goodfish will once again be present to promote the sustainable consumption of marine products.